This page has been created to provide information of interest to staff and easy access to essential websites. The new Perley Rideau website that will be launched in the coming weeks will prominently display this access point for staff. Remember to bookmark this page and visit often to access key information. Did we miss anything? Please email info@prvhc.com with your suggestions. 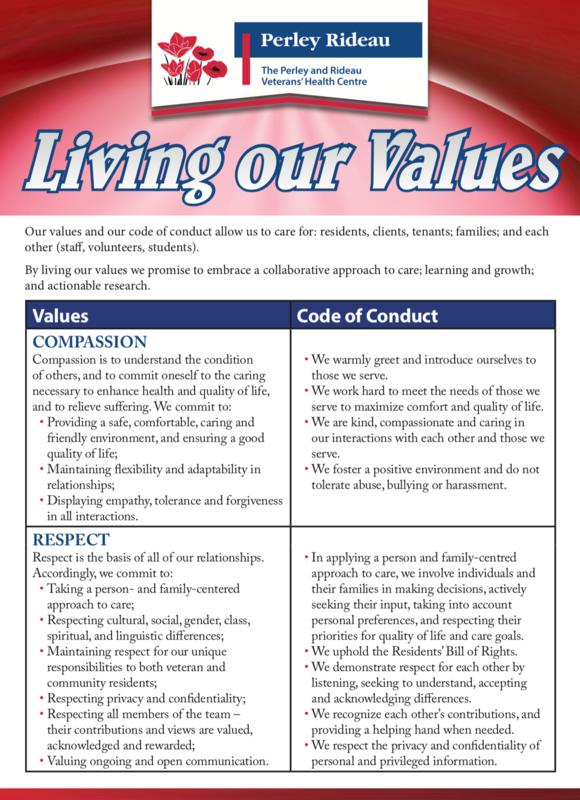 Living our Values: Our values and our code of conduct allow us to care for: residents, clients, tenants; families; and each other (staff, volunteers, students). By living our values we promise to embrace a collaborative approach to care; learning and growth; and actionable research. Note: if you are accessing the pages listed below on a public computer, please remember to log out.